Crafted to the highest standards of excellence, our award-winning new homes represent a variety of styles for every lifestyle. Explore Saluda River Club for new homes featuring inviting indoor-outdoor living spaces and boasting remarkable privacy. From charming cottages to contemporary townhomes to classic estate homes all set in a landscape that fosters community and invites you to enjoy the natural surroundings along the river. 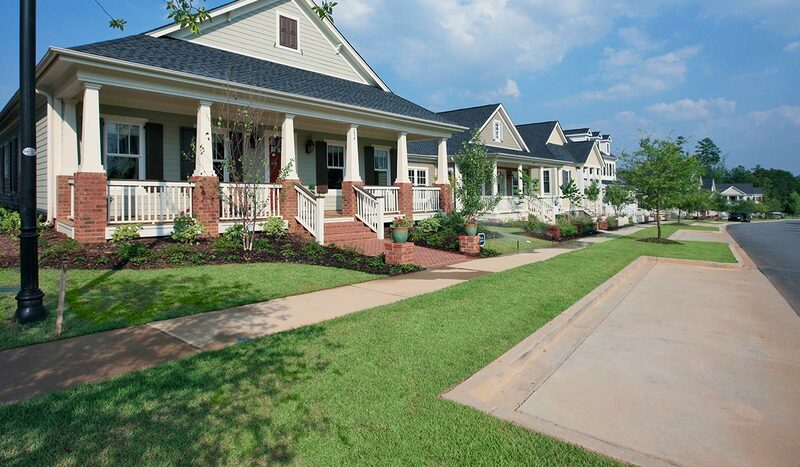 Whether you’re looking for a new home in Lexington that you can move into immediately or wish to select and build your own, Saluda River Club has something to offer you. Why Live at Saluda River Club? In addition to appreciating the quality and beauty of our homes, residents choose Saluda River Club for its location and the unparalleled amenities the Club provides. Situated in one of South Carolina’s best school districts, Saluda River Club is minutes away from Lexington’s parks, lakes and outdoor venues as well as grocery stores, fine restaurants and shops, and downtown Columbia’s major corporate and medical centers. Even with its convenient location, Saluda River Club feels like a world of its own. Our resort-inspired amenities include two club houses, a fitness center, community gardens, playgrounds, river observation decks, outdoor fire pits, recreation areas, kayak launches, a dog park, walking trails and the Village green. Saluda River Club residents also enjoy a variety of activities, from adult socials to kids’ events, book clubs to yoga classes. Above all, there’s the sense of community our neighborhood fosters that makes Saluda River Club appealing to all generations. The river is calling you home. Contact us to learn more.